Since iPhone X’s launch it has been associated with a lot of rumors and speculations, and somehow managed to stay in the headlines for all the possible reasons (Good and bad both of course). iPhone X is so far one of Apple’s biggest experiment with technology and innovation. Be it getting rid of the home button and introducing a bezel free display, replacing the Touch ID with Face Recognition for unlocking device or rolling out Animojis to enhance iMessage experience. 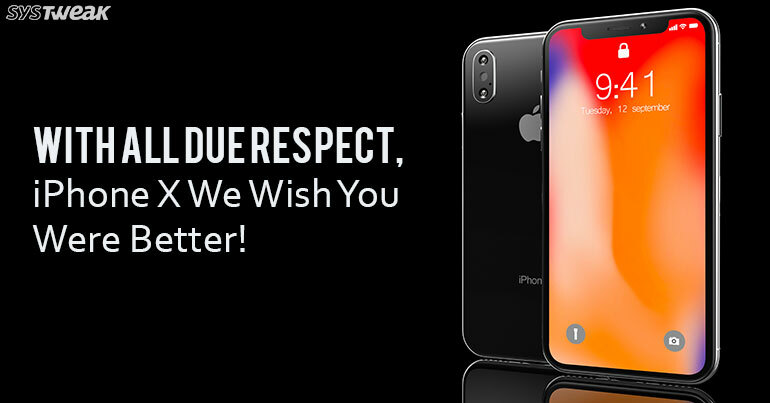 But believe it or not, iPhone X has still not been able to make that special place in our hearts unlike previous Apple products. That big shot launch event got all of us pretty excited! We all couldn’t wait to get hands on with this amazing gadget. But soon after the device rolled out in stores, our expectations were somehow shattered due to numerous reasons. On the contrary, there are a lot of reasons why we love this spectacular gadget, like its ridiculously long battery life, excellent camera (front-facing Portrait mode!) and more. But in spite of all these facts, there are still a few things that users are still finding it difficult to adapt. Let’s check the 4 iPhone X features with which we’re STILL getting used to! Some users have reported that while using iPhone X it becomes a bit troublesome to reach to the upper corner for pulling out notifications. To overcome this, we actually have to use our other hand for pulling down notifications rather than swiping it easily single-handedly. Yes! It’s right. The status bar no longer displays the Battery percentage in iPhone X. All the other regular icons are right in place including cellular network status, WiFi and Bluetooth icon but only the battery status icon is not available for a quick glance. So, in order to see the battery percentage status, we actually have to swipe down from the right-hand side of the notch to access the Control Center, and then the battery percentage appears. In previous versions of iPhone, capturing screenshots was so simple. Just hold and press the home button and power button simultaneously and it’s done! But with iPhone X taking screenshots is no more a child’s play. As there’s no home button now, we have to press the power button and volume down button at the same time which somehow squeezes the phone in a certain way. It somehow doesn’t feel right, isn’t it? Previously, when we used to switch between apps we did it by double tapping on the physical home button. But now with iPhone X, as there’s no home button we keep on accidentally swiping the dictation button which gets quite annoying. To overcome this, we can obviously turn off the dictation from settings, but it’ll definitely take some time to adapt to this. No matter how much we hide our feelings but we do miss the home button. So, folks here were a few things that users are still finding tough getting used to with iPhone X. With all due respect iPhone X is still the future of Smartphones however if Apple makes a few little tweaks it’ll make our life lot easier. What do you think guys?